The British Army’s former ‘Western Command’ in Chester will be open to the public as part of this year’s Heritage Open Days. The University of Chester’s Churchill House – previously known as Western Command in its former life. 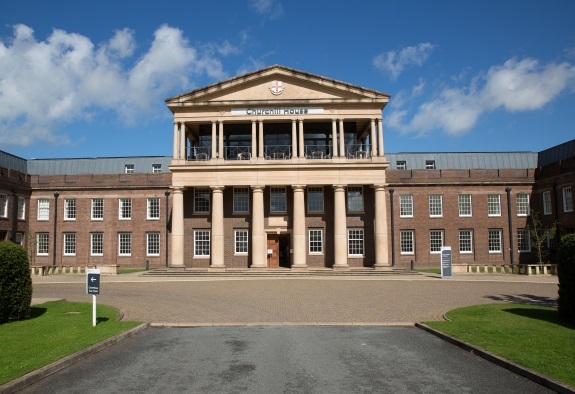 Caption: The University of Chester’s Churchill House – previously known as Western Command in its former life. The University of Chester is opening four of its historical buildings as part of the scheme, which will take place between September 7 and 10. Two of those buildings are part of the scheme for the first time - the University’s Churchill House in Queen’s Park, Handbridge (known in one of its previous lives as ‘Western Command’) and the University’s Vicarage, on Parkgate Road, which houses the English Department. During the Open Days, the institution’s Riverside Museum will be open on Thursday, September 7 and Saturday, September 9 between 10am and 4pm, for visitors to drop in. The Museum features a letter written by Florence Nightingale from the Crimea, and is the home to a permanent collection of curiosities from the world of medicine, nursing, midwifery and social work. It also features The First World War: Returning Home exhibition which has recently been refurbished with the assistance of Big Heritage and the Heritage Lottery Fund. Nowadays, Churchill House in Queen’s Park is home to the University’s Business School. Initially referred to as ‘Capital House’, it was completed in 1937-8 as a purpose-built centre for the British Army’s ‘Western Command’ military base (which had previously been based in the centre of Chester, on Watergate Street). Built in the Neo-Georgian style, the building was used in a military context until the 1990s, when it was sold to a banking company. The distinctive portico and pillars were added during this time, and, as a result, today’s building looks very different to the original. During its time as Western Command, a substantial network of subterranean rooms was built under the structure, extending towards the river - they were initially used as secure meeting places during the Second World War and later as bunkers during the Cold War. The tour of the building will include the opportunity to see the De Gaulle Brasserie at the top, which takes in fantastic views of the River Dee and the city. On Friday September 8, pre-booked tours are available at the University’s Vicarage (pictured left). Known as St Oswald’s, it is a designated Grade II listed building. Built in 1880, to serve the parish of St Oswald and the Church of St Thomas of Canterbury, the redbrick building was designed by notable Victorian Architect John Douglas. Douglas designed and contributed to a range of buildings across the North West of England, including churches, schools, private houses, memorials and extensive projects for the Grosvenor family. He is particularly known for his use of the Gothic Revival and English Gothic styles, which feature neo-gothic arches and mullioned windows. In Cheshire, his chimneys – barley sugar brick ribbed stacks – are well known, and can be seen from the first floor window of Storyhouse in Chester city centre. Buildings such as the Vicarage, which now house the English Department, illustrate Douglas’s ability to design buildings that reflected existing local architecture. The medieval-style features of the Vicarage are inspired by Chester’s various churches and the Cathedral. In Chester, perhaps the most famous work attributed to John Douglas is the Eastgate Clock, which is said to be the most photographed clock in England after Big Ben. The iconic Chapel, on the Parkgate Road Campus, will be open over the whole period and received a fresh injection of colour last year, thanks to the installation of a new stained glass window, made possible by the generosity of the institution’s alumni. The window - a permanent commemoration of the University’s 175th Anniversary – is the result of a fundraising campaign by the University’s Alumni Association (UCAA), who felt it important to create a permanent reminder of the institution’s former students, to mark its Anniversary celebrations. 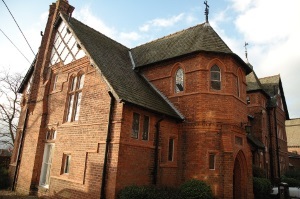 The Chapel was originally built by students at the then Chester Diocesan Teacher Training College and has played an integral part in the life of the institution from its early days. It forms both a focal point for activities which reflect the Church of England foundation of the University, and also as a symbol for the community spirit which is such an important feature of Chester for generations of students and staff. Visitors to the Chapel are welcome to turn up between 10am and 4pm during the Heritage Open Days. The University of Chester Riverside Museum will be open on Thursday, September 7 and Saturday, September 9 between 10am and 4pm for visitors to drop in. Tours at Churchill House, Queen’s Park, must be booked in advance. They are taking place on Thursday September 7 only, between 2pm and 3pm, and 3.15pm and 4.15pm. The tours of the Vicarage will only be on Friday September 8 at 2pm and 3.15pm and must also be booked in advance. To book the tours, please contact Chester History and Heritage on email at chh@cheshirewestandchester.gov.uk or phone 01244 972210 Monday to Friday 10am until 12 noon and 1 pm until 4 pm. You can pick up the Heritage Open Days booklet giving details of all buildings open to view locally at Chester History and Heritage and the Tourist Information Centre.